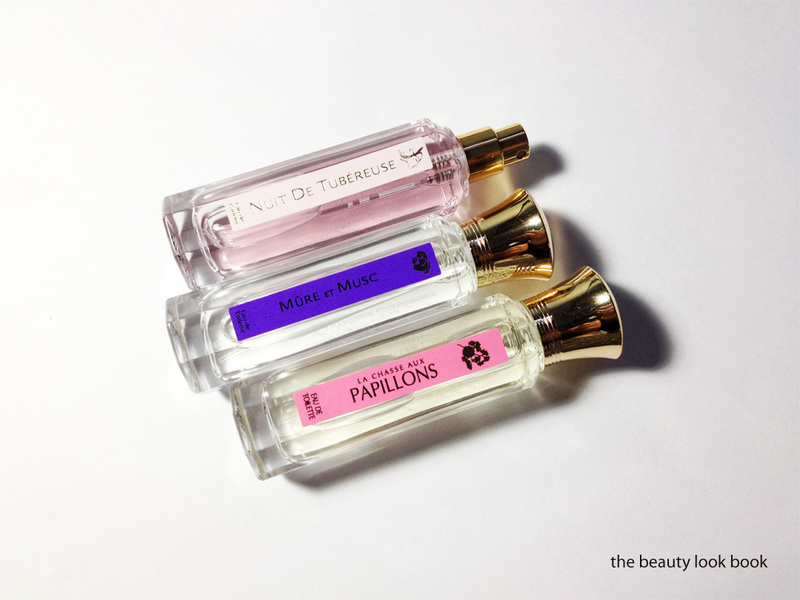 Each bottle is quite small with only 15ml in each vial but they are perfect for testing each fragrance and ideal for travel. For size reference, all three will fit into the palm of my hand. I am hoping they are refillable. 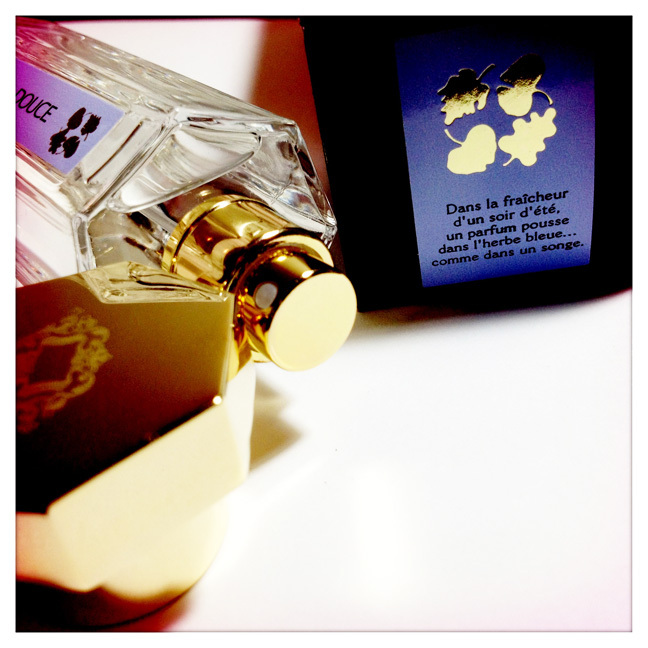 Nuit de Tubéreuse is an Eau de Parfum and noticeably more concentrated than the other two. At first spritz this was my least favorite – it opened with an overwhelmingly strong powdery-incense-mixed scent. It reminded me of the smell that surrounds you when you first walk into a Lush Store (which I like, but not in the overwhelming sense). 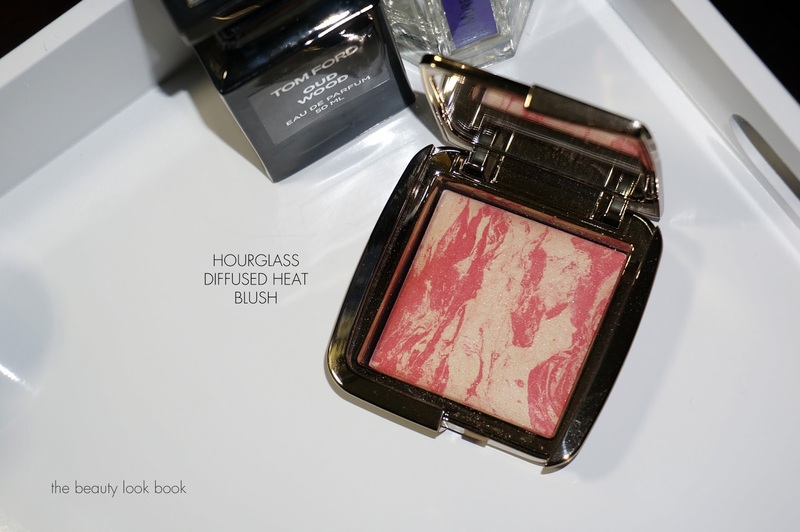 After a few minutes, it dried down and turned less powdery and became a bit more sweet with more noticeable notes of tuberose. It has a romantic feel and although not something I would normally be drawn to, it’s growing on me and smells divine. The notes: cardamom, clove, pink pepper, black pepper, citrus, green mango, angelica, tuberose, orange blossom, ylang-ylang, rose, broom, musks, vanilla, sandalwood, palisander, benzoin and styrax. Mûre et Musc in this trio comes in the Eau de Toilette. This is our favorite pick as the most youthful and light. I normally do not like berry-scented fragrances. I found most variations of Trish No. 9 and Philosophy Falling in Love to be nice on others, but too sweet, cloying and headache-inducing on me. (My mother and sister always hated this when I sprayed it on at counters.) L’Artisan Mûre et Musc is a wearable fruity scent. It’s been on my radar for several months now ever since I smelled it on one of my friends LJ. It smells amazing on her and I am thrilled to find that it works well with my chemistry as well, although it smells sweeter on my skin than hers. It’s clean, bright and fresh. Lasting power is medium but I love the way it smells as it fades. I need a full-sized bottle of this one. 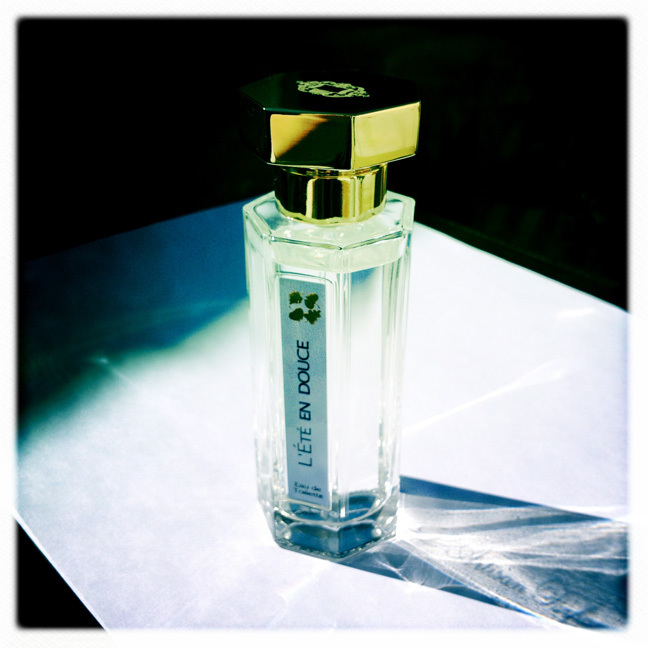 La Chasse Aux Papillons is another beautiful light and airy floral. 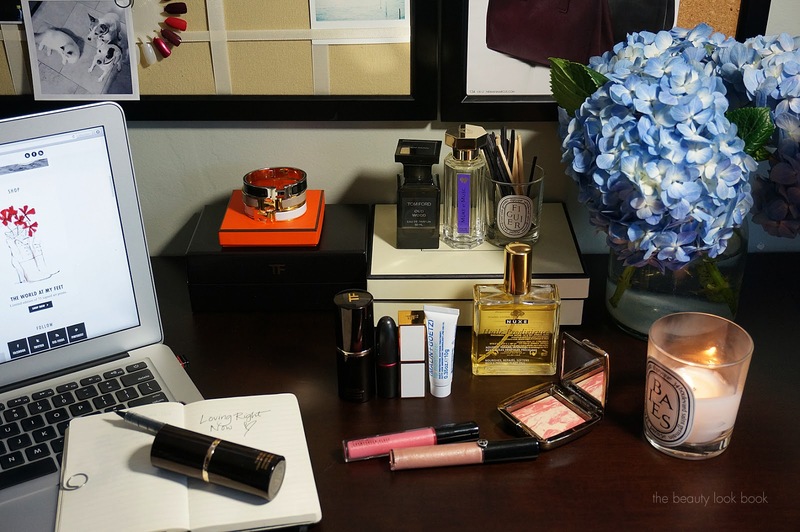 It’s the perfect mixture of orange blossom and tuberose with a hint of jasmine. This one turns slightly more floral as it dries on my skin. Right now I think it’s a bit too light for right now but will be perfect in a few months time. It smells like a spring garden, more floral and green compared to Jo Malone’s Wild Bluebell (which is slightly sweeter with a hint of spice). 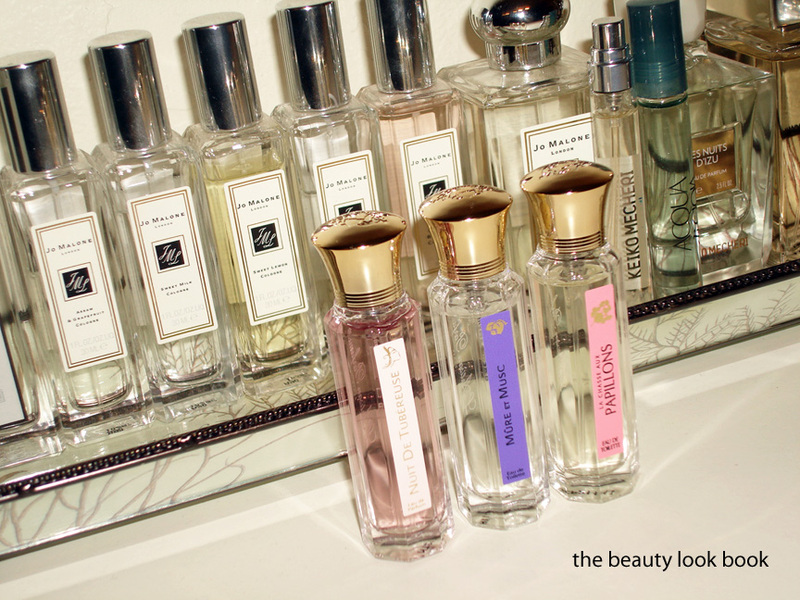 The notes: Notes of tuberose, orange blossom and spices. Bottom line: My next trip to Barneys can’t come soon enough. I already want a full bottle of Mûre et Musc. All three are exquisite and given the fact that a 50 ml bottle of the L’Artisan Eau de Toilettes starts at $100, I think the $98 for 45 ml is a reasonable price (even though this was a gift). My husband purchased this set directly from L’Artisan online but the set is also available on Barneys online. 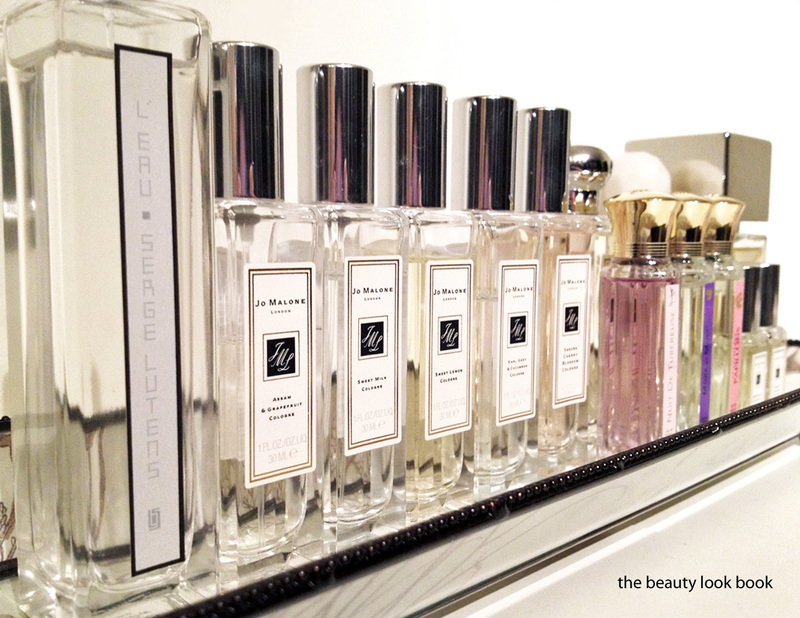 A few resources for L’Artisan reviews that I found extremely helpful: The Non-Blonde, The Notice, Lucky Scent reviews. 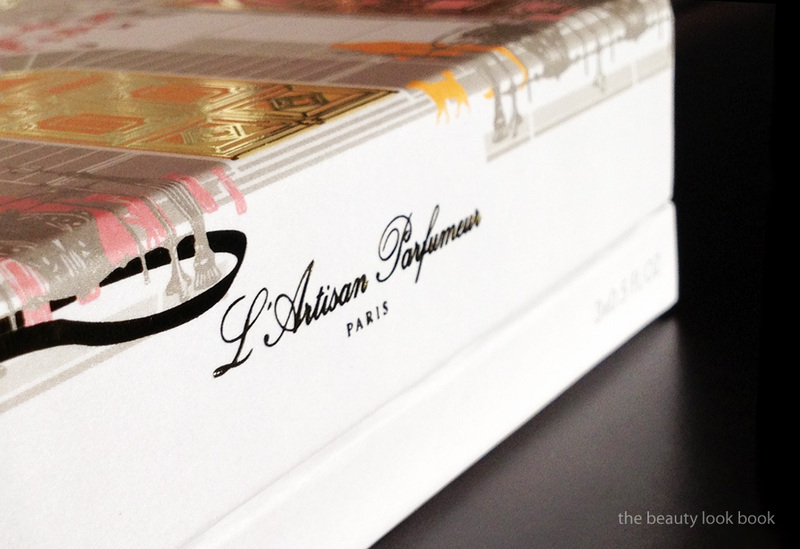 What are you favorites from L’Artisan? The descriptions and reviews for Mimosa Por Moi sound absolutely delicious but I wonder if it’s too sweet?